Reports on calciomercato.com suggest that Manchester United could be set to bid for Italian international Marco Verratti, with talk of a £70 million offer for the Inter Milan midfielder. A stumbling block would appear to be PSG’s insistence that Anthony Martial moving to the Parc de Princes be part of any deal, with the Red Devils currently unwilling to sanction such a move, although there has to be a possibility of that changing should Croatian winger Ivan Perisic finalise his transfer to Old Trafford from Inter Milan. 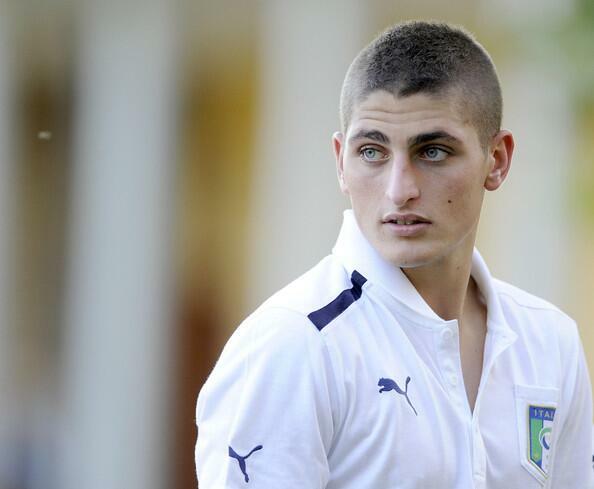 In terms of a cash deal, United are reportedly willing to offer £70 million for Verratti according to the Express. In a summer that has already seen some extraordinary spending, that figure doesn’t come across as being unduly excessive in today’s inflated market and Manchester United executive vice-chairman Ed Woodward might see such a deal as a shrewd long-term investment given the Italian’s age. Given PSG’s £196 million pursuit of Barcelona star Neymar, they will also need to balance the books to some degree for Financial Fair Play (FFP) requirements should that deal materialise. Verratti had seemed destined for Barcelona and has made it clear that would be his preferred destination. However, Barca’s interest appears to have cooled somewhat of late and the 24 year-old’s recent decision to appoint Mino Raiola as his agent in place of Donato Di Campli could also work in United’s favour. There is now a growing belief that decision could persuade Verratti towards a move to Old Trafford, with Raiola having been behind the deals for Paul Pogba, Henrikh Mkhitaryan, Zlatan Ibrahimovic and most recently Romelu Lukaku. With little apparent progress in proposed moved for Tottenham Hotspur’s Eric Dier and Chelsea’s Nemanja Matic (neither London club appears keen on doing business with an EPL title rival), Verratti would be a more than a credible alternative for Jose Mourinho as he looks to strengthen his holding midfield options.